I've always been a fan of Harry Potter but if you follow me on twitter you might know that a couple of weeks ago I watched all the Harry Potter movies from start to finish in about 3 days. 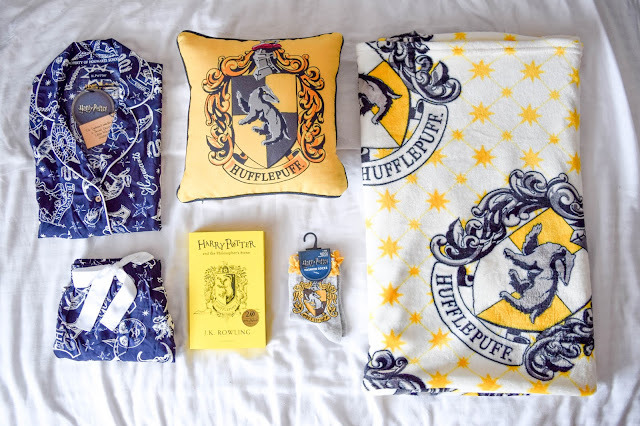 It rekindled my love for Harry Potter and not long after, Primark released their Harry Potter range complete with house themed products for all you Gryffindors, Slytherins, Hufflepuffs and Ravenclaws. Anyway, Ana and I headed down to Primark to have a little shop and I ended up getting a mini haul of things from the range. 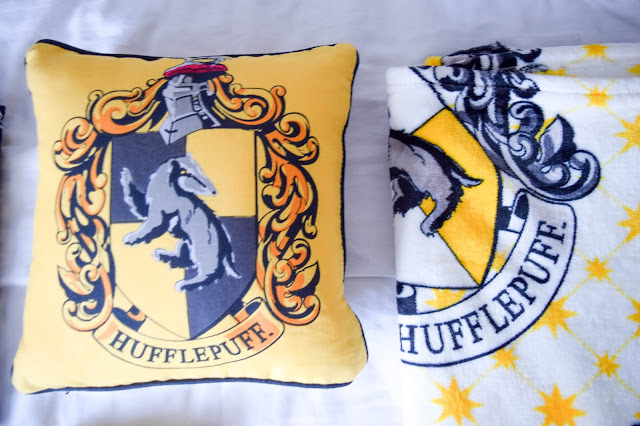 Ehem...Can you guess which house I belong to yet? Loyal, patient, fair, hard-working, true. Those are the traits of a true Hufflepuff! 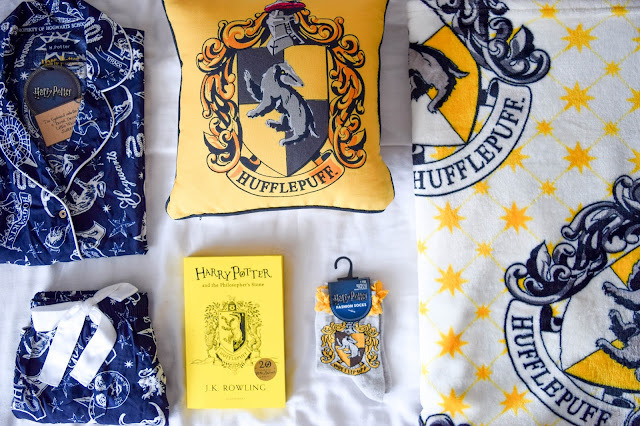 It's spot on for me and so I got a little obsessed about the fact that I am a Hufflepuff when I walked into Primark and saw all these cute things! 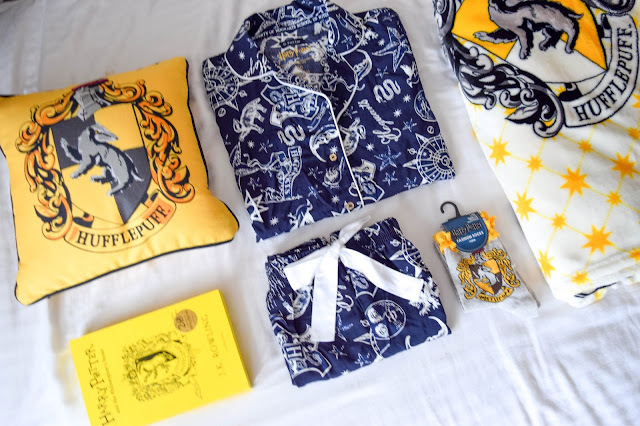 I picked up four pieces from the Harry Potter range at Primark but the Hufflepuff edition of Harry Potter and The Philosopher's Stone is from Tesco. Let's start off with the pyjamas. 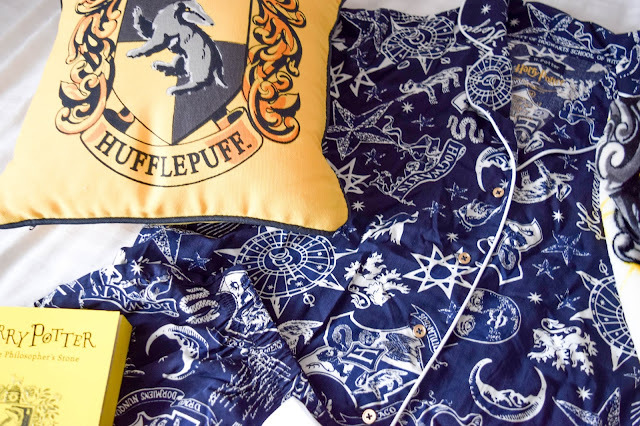 Ana and I couldn't find the pyjamas for all four houses. They seem really popular and cute but we couldn't find anything that wasn't Gryffindor or Slytherin. We needed to find Hufflepuff for me and her sister but because we couldn't find them we decided not to get the ones we could find. 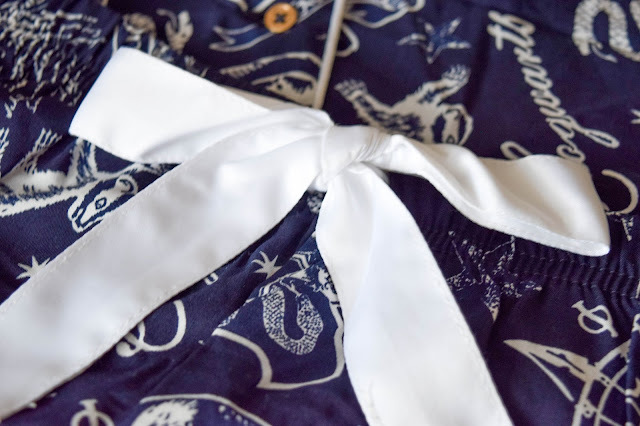 I really wanted a pyjama set though and so I ended up buying this cute shirt and shorts set which I have fallen in love with after wearing it. It's super soft and comfortable and I'm so glad I got this one. I'm really tempted to go back and get the burgundy version. The detail is incredible though. 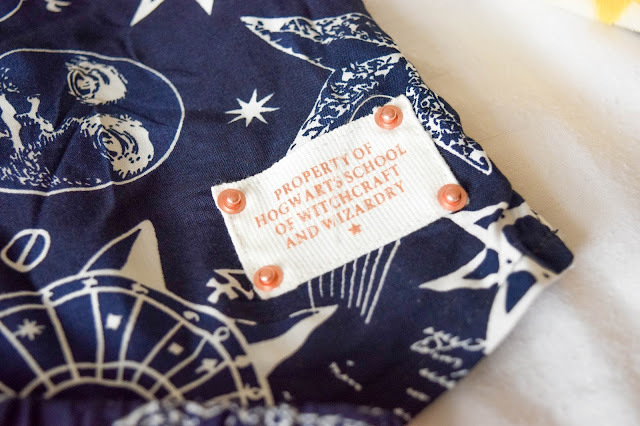 The print is beautiful with many symbols related to Harry Potter and Hogwarts, the inside of the shirt says 'H.Potter' and there's a little tag on the bottom left that says 'Property of Hogwarts School of Witchcraft and Wizardry'. Attention to detail has been paid well here and the quality is very good. With it being £6 for the set you can't go wrong here. The pillows were much smaller than we expected though. We expected them to be of average size but nevertheless we bought them for £4 each. 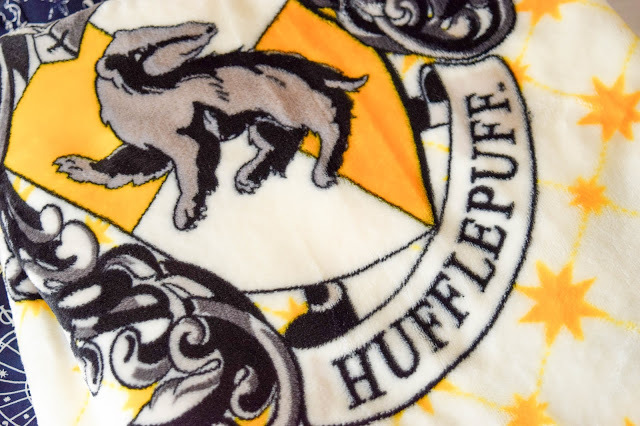 I also managed to find the one and only Hufflepuff blanket in the whole store. It had nothing around it and was amongst a mess of blankets but of all the things I really wanted this. 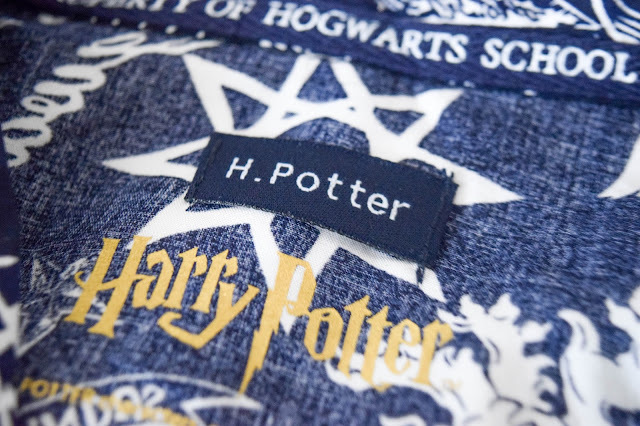 The Primark blankets are so soft and my favourites so having a Harry Potter themed one made me very happy. The blanket was £6. Last but not least, we picked up some socks. I haven't worn these yet but I can imagine wearing them with my trusty black converse to show it off a bit. I love Primark's socks so I had to have a pair of these for just £2. 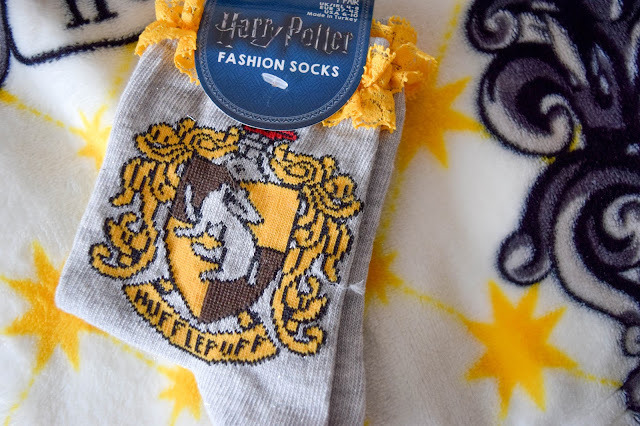 I did almost buy a bunch of the Harry Potter socks but I don't need them at the moment so I gave it a miss. I really loved some ones that had Dobby's quotes on. It's not often I fan girl about things but this was a collection I was all in for. I didn't pay a lot for it either which pleased me. I know I'll get use out of these things and enjoy them well. 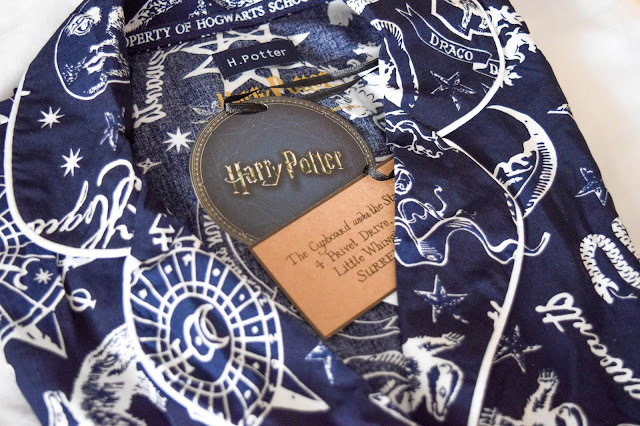 I'm currently planning to finally visit the Warner Brother studios to do the Harry Potter Studio Tour for my birthday which I'm very excited for. I've never been and I'm so going to buy myself a wand! 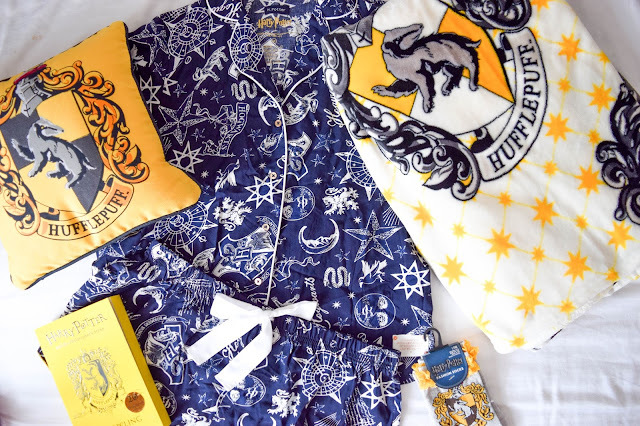 Have you bought anything from the Primark x Harry Potter collection yet? Also, what house do you belong to!? They look gorgeous! Love the colors! 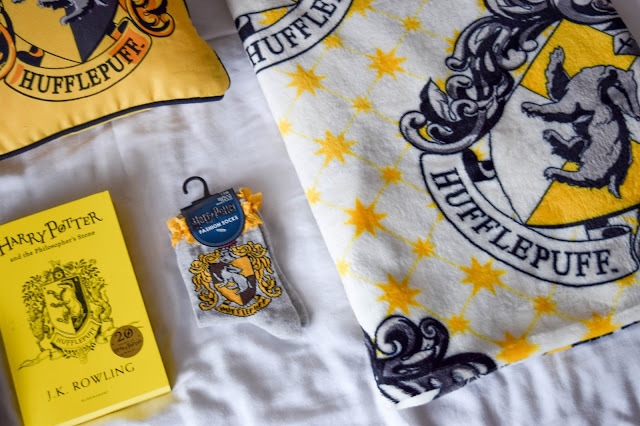 Yay Hufflepuff! I'm so glad they have brought out all of the houses now. I'm so sad there's no Primark stores here, I need those PJs! 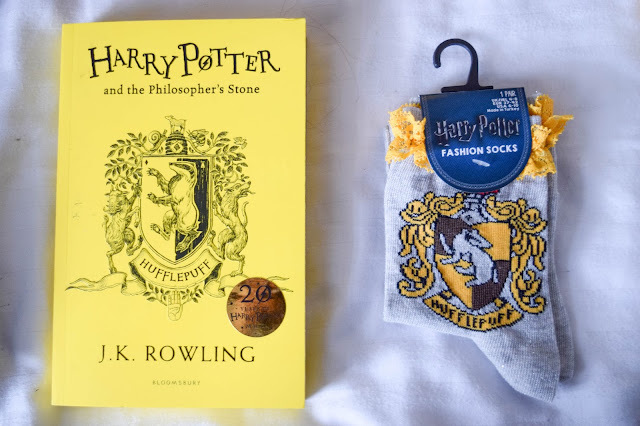 Thanks for sharing your haul :) Steph x.